All of the pre-orders should be arriving shortly and if you guys are like me, you will want to put them on ASAP. We are putting together a DIY install guide. Just be patient with us, we should have it up either tonight or tomorrow. you can also use this thread to discuss any issues you may come across during the install. Received my kit this week, just opened it up. My first thought was "...and where are the instructions?" so I'm glad you started this thread. I will hopefully be installing these tomorrow morning so definitely eager as you mention. Kit looks good, and I guess I have all the pieces. One box with the projector in it had a very small countersunk screw at the bottom of the box, and the other did not. From what I can tell its an extra screw but I haven't studied the projectors side-by-side to see if its missing from somewhere. Actually I'm also waiting on my HID kit to arrive so tomorrow morning's install may be dependent on the kit's delivery. 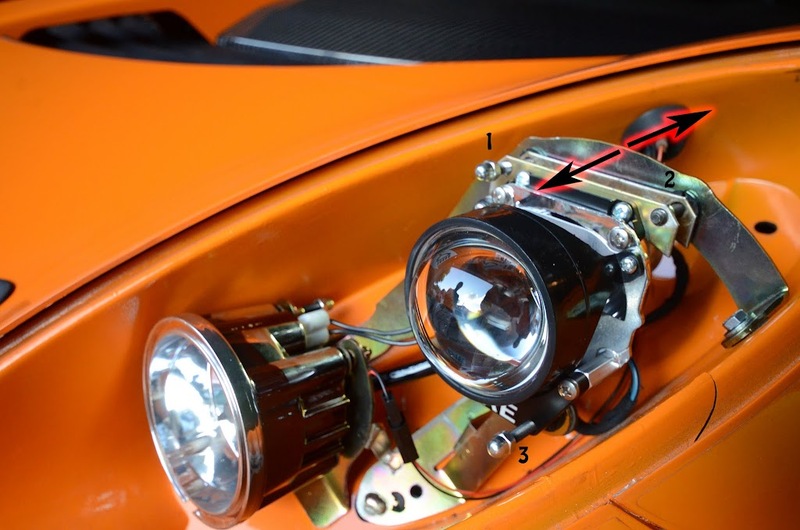 Disconnect all wires going to the low beam, high beam and indicator light in highbeam reflector. Remove headlight assembly. It may be slightly stuck to the headlight bucket but be careful not to damage anything. Using a set of small vice grips clamp onto the base of the screw very tightly. You may damage a few threads at the bottom but they will not ever be used. We have found that the nut is locktited onto the threads so just a phillips head screw driver cannot provide enough torque to break it free. Remove the nut with an 8mm wrench or socket. Last edited by On Rails Engineering; 06-27-2014 at 01:10 PM. Install the two threaded standoffs in the holes shown using the short M4 screws provided (notice the location of the highbeam solenoid). Keep these screws slightly loose. We have noticed some of the holes may have some flashing from the injection molding process. This can be cleaned out easily by putting the point of the phillips head screwdriver in the hole and twisting. Install the lower projector bracket onto the standoffs using the long M4 screws provided. Now tighten all (4) screws into the standoffs. 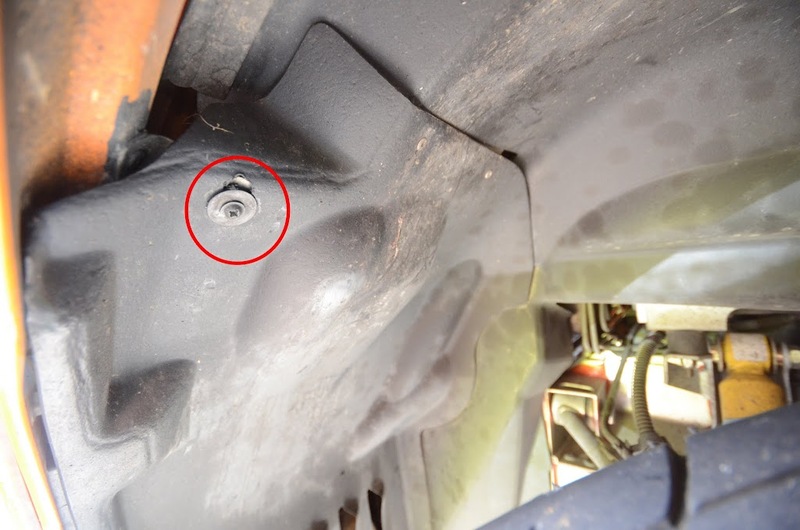 Thread OEM adjustment bolt into bracket as shown for the Left Hand side of the car (as the driver sees it). Thread into other hole in bracket for the Right Hand side headlight. Last edited by On Rails Engineering; 06-27-2014 at 01:25 PM. I dont have a good picture of this yet (will get soon) but take the wiring harness adapter and attach it in between the factory harness and the factory high beam bulb. The extra small plug on the harness will plug into the Bi-Xenon projector we have provided. 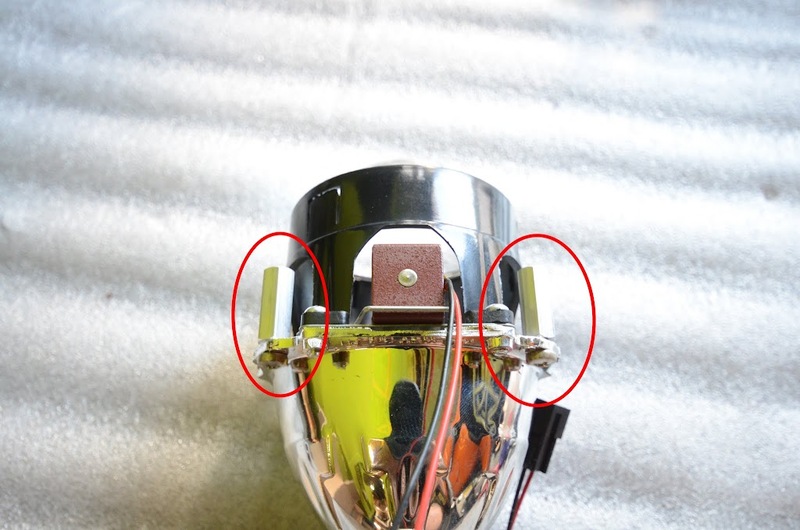 Test the function of the highbeam solenoid in the projector. You should be able to hear it move. You may need to reverse the polarity of the adapter harness where it plugs into the factory harness. Now install the HID bulb kit your ordered on your own. I am not going to go into details because it will most likely be kit dependent. There are also plenty of guides on how to do that here on Lotus Talk. Now it is time to check alignment and fit. wall to start and marked it. This may or may not be where you actually want them but its a good place to start. Set the height of the cutoff using screw #3.
and the variation of fit from car to car we have found some minor adjust of the main headlight bracket may be needed. fit correctly to the opening in the headlight housing. before checking the fit of the headlight cover. Once you are satisfied with the fit then you can use screw #1 to adjust the headlight right or left as needed. 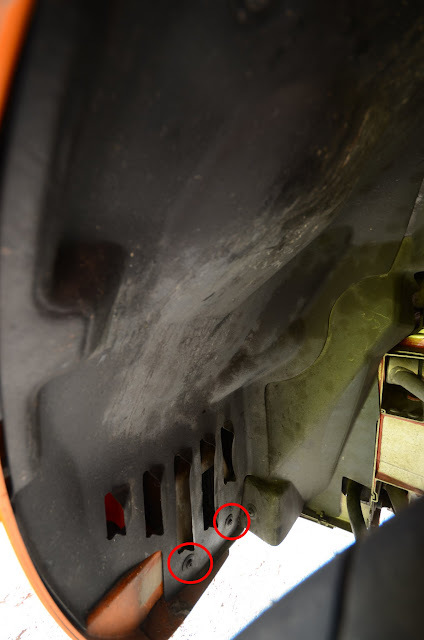 On only one of our test cars we found that screw #2 was adjust quite far out. We needed to adjust this slightly using a short phillips to get the fit correct. Re-install the headlight covers and double check how the lights are aimed, tightening these screws can tweak everything slightly because the headlight bucket flexes a bit. Re-install the inner fender liner and you are done! Last edited by On Rails Engineering; 06-27-2014 at 02:07 PM. Installed kit this morning, was quick and easy. The one issue was one of the adjuster bolts snapped in half. Not much of the bolt is used so I was able to get it together and make all adjustments. Light output is amazing with my HID's, can't wait until tonight! Post some pics of the kit installed and your light output at night. I should get my car back this week or next, so this (along with a new wheel/tire setup and a Janspeed stage II exhaust) will be happening as soon as I get the car back. Any suggestion on where to mount the ballasts for the HIDs? I got thin solid state ones. We mounted ours on the headlight bucket behind the wheel well using double sided adhesive. I just installed the kit, and I think it's worth the time to post a bunch of details. The ORE kit is really nice, and the instructions above are pretty direct and easy to follow. - when you attach the new projector housing to the upper bracket, don't forget to reattach the black plastic socket first, and then screw the projector onto the bracket. - I also broke one of the adjustment screws when trying to remove the 8mm nut. As a suggestion, I think ORE should just include new adjustment screws and nuts. You know it's going to break on us. And if you really want to go one step further for your customer, install the lower bracket and the adjustment screw/nut right on to the projector before shipping it out. 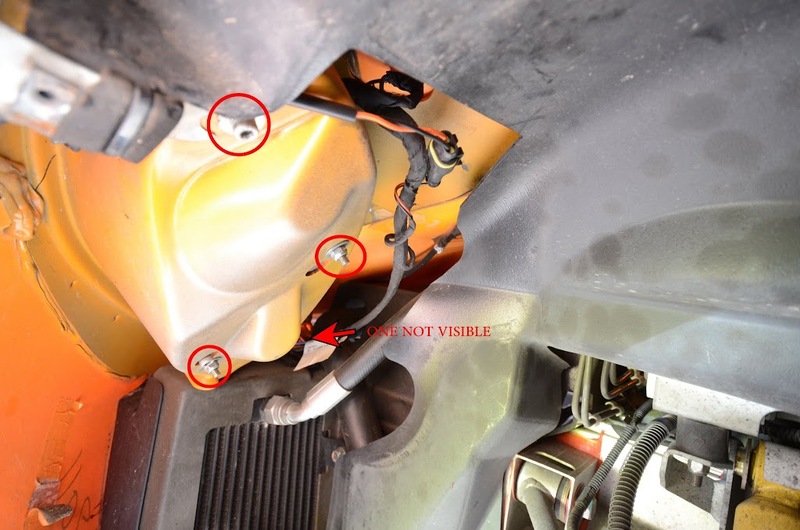 - when putting it all back together, watch out where the new connectors go inside the headlight assembly. 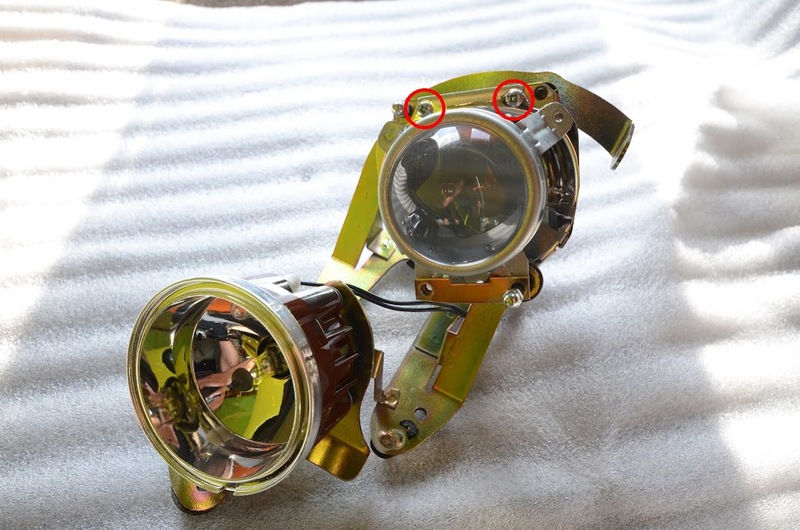 If they touch the bulb housing they will start to burn/melt. You'll know it by the smell. I bought the HID bulbs from DDM Tuning. H1, 35W, 5000K, and no extra accessories needed that they offer on the site (error checking modules or whatever else). I did order the pair of mounting brackets but didn't even use them. $49 shipped. The DDM seems like a good kit, well made, small thin ballasts. The only issue I ran into was when the car stalled with the headlights on and I started it up again, the drivers' side headlight didn't come back on. I had to turn the headlights off and then back on for the drivers side to work again. I mounted the ballasts to the outer side of the headlight bucket under the wheel well, right near where that 8mm bolt goes thru that holds the headlight assembly. I used a small machine screw with a 1/4" nut to secure it and also put velcro on there. The whole thing took about 4-5 hours, but a good hour of that was properly aiming the lights (both low beams and hi-beams). 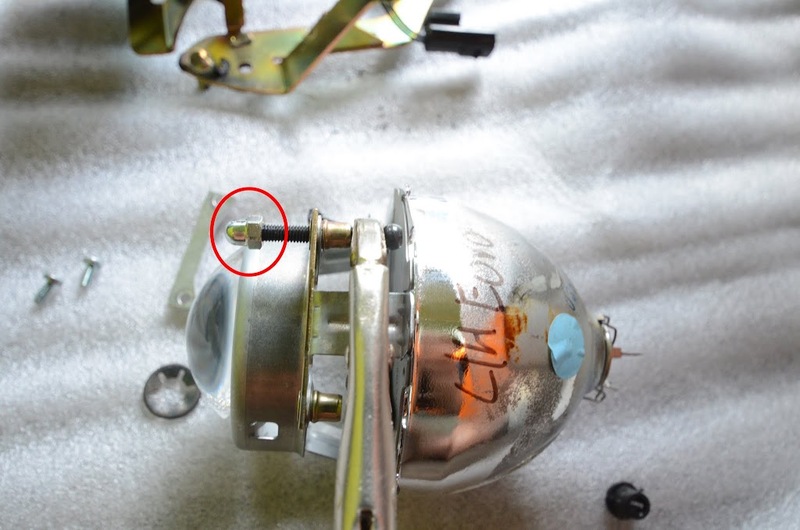 The real PITA was that after setting everything up, the aim changed when the headlight cover went on (it pushes the projector way down)... so the solution was really to bend the projector bracket way up so that when the headlight cover went on, the aim was back to correct. The other thing it made me notice is how pitted and scratched my headlight covers are, so now I'll need to restore them soon. Last edited by 88 E5PR1T; 07-04-2014 at 03:01 PM. - when you attach the new projector housing to the upper bracket, don't forget to reattach the black plastic socket first, and then screw the projector on to the bracket. I bought the HID bulbs from DDM Tuning. H1, 35W, 5000K, and no extra accessories needed that they offer on the site(error checking modules or whatever else). I did order the pair of mounting brackets but didn't even use them. $49 shipped. So overall consensus? Are you happy with the purchase and is it worth the money? I'm definitely happy I bought it, this car absolutely needs a headlight upgrade. The light output is really good, though my pics may be a little misleading because I had the covers off at the time. It's raining here today so I can't go out and see how it does on the streets until tomorrow night. As for being worth the money, I think it is. You're really paying for the engineering/design and the extra pieces to make the kit fit on this car. The projectors themselves can be found online for just under $100, but it's all about the custom bits and pieces that make this a "plug & play" kit. My total cost was $360 between the kit, shipping, and the bulbs. I do think you should include new adjuster screws/nuts, but that'd be my only complaint. Otherwise it's a great kit. I'll report back after tomorrow night! Hopefully they won't need another aiming adjustment! Drove the car last night. The lights are nice and really bright, but I think they're aimed too low. I'm pretty sure that while the new projector assembly is mostly smaller than OE, the lens sits more forward... so when you try to put the cover on it has to push the lens back and changes the aim. I'm going to have to push back more in the 1-2 area that you mention above. The light output is amazing! Worth every penny. Now i need to update projectors on my daily driver-Saab 9-3 to bi-xenon. I did have a fitment problem on the right side when installing lens, but it was due to cross-threaded bolt from factory at bracket mount that was not flush. Good to hear the install went relatively smooth.